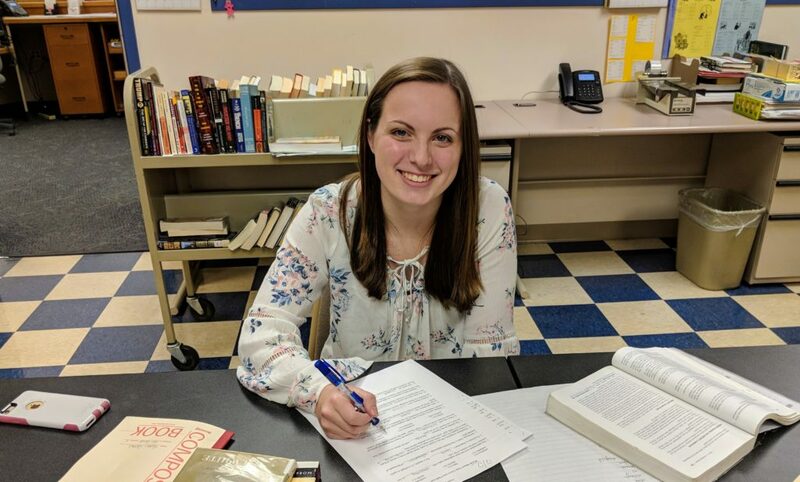 Penn Manor High School junior Peyton Cassel has won another award for her writing — a national Silver Medal in the Scholastic Art & Writing Awards competition. Peyton won the award in flash fiction (under 1,000 words) for her story “The Apology,” which previously won a regional Scholastic Gold Key Award. The national Scholastic Award is the second for Peyton, who won a Silver Medal in 2016 for her collection of poems — the first time in 10 years that a Penn Manor student had earned a national medal. Only 1 percent of the nearly 320,000 works of art and writing submitted in the competition earn an award. Past recipients of national awards include such outstanding artists and writers as Sylvia Plath, Andy Warhol and Truman Capote. She plans to major in English or communications in college and pursue a career in broadcast journalism.